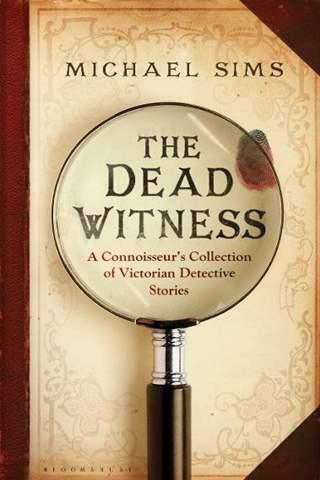 The [detective] story has at its heart the crime of murder, often in its most horrific and violent form, yet we read the novels primarily for entertainment, a comforting, even cosy relief from the anxieties, problems and irritations of everyday life. Its prime concern–indeed its raison d’être–is the establishment of truth, yet it employs and glories in deceit: the murderer attempts to deceive the detective; the writer sets out to deceive the reader, to make him believe that the guilty are innocent, the innocent guilty; and the better the deception the more effective the book….The detective story deals with the most dramatic and tragic manifestations of man’s nature and the ultimate disruption of murder, yet the form itself it orderly, controlled, formulaic, providing a secure structure within which the imaginations of writer and reader alike can confront the unthinkable. 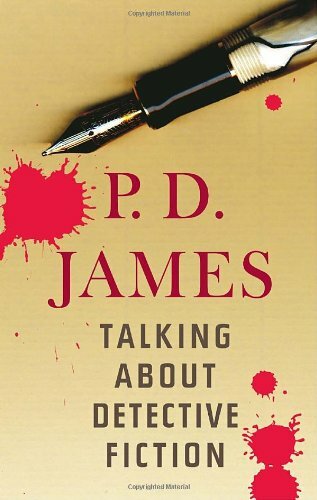 The detective novel…is aimed above all at the intelligence; and this could constitute for it a title to nobility. It i in any case perhaps one of the reasons for the favour it enjoys. 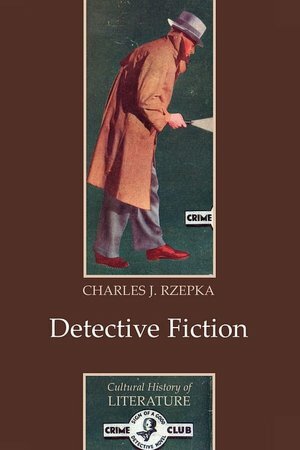 A good detective story possesses certain qualities of harmony, internal organisation and balance, which respond to certain needs of the spirit, needs which some modern literature, priding itself on being superior, very often neglects. This thought-provoking observation comes from Le “detective novel” et l’influence de la pensée scientifique, by Régis Messac. Written in 1929, its subject is the history of the French detective novel, or ‘roman policier’ as it is usually termed in France. According to the book’s description on Amazon – or rather, my translation of that description – Messac submitted this work as a doctoral thesis while studying at the Sorbonne. It was apparently the first work on this subject to be received there and has since come to be considered a pioneering study. 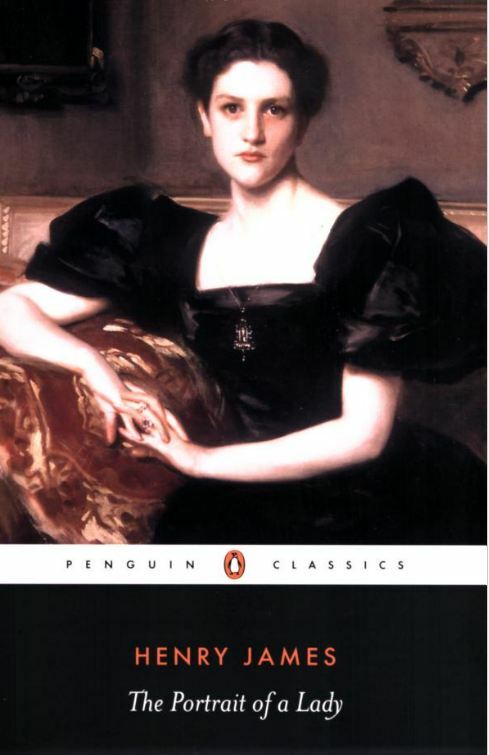 First, I read The Portrait of a Lady – or rather reread it, for the first time in decades. 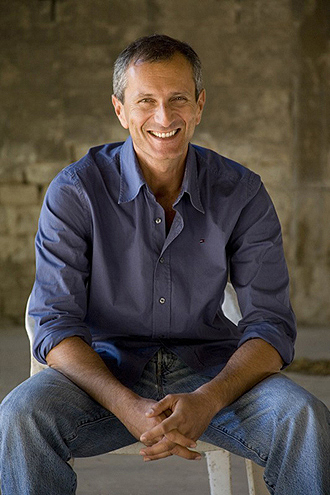 Then I read Portrait of a Novel by Michael Gorra. 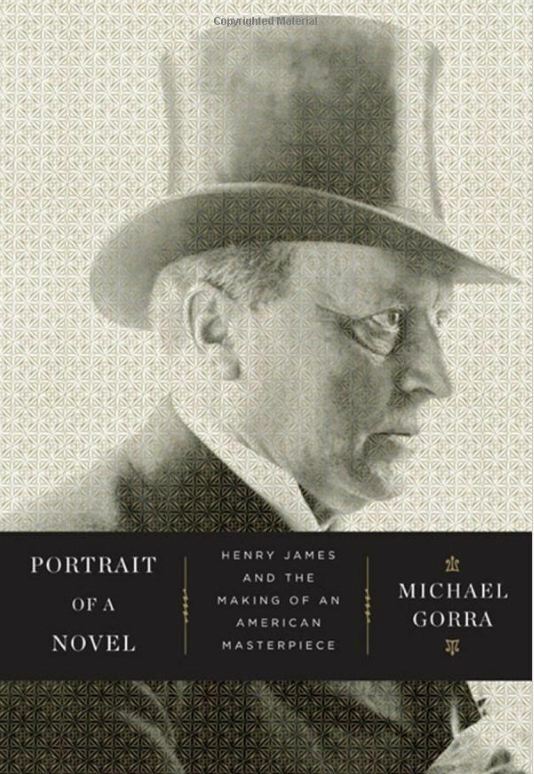 Subtitled “Henry James and the Making of an American Masterpiece,’ this book is a consummate work of literary criticism, at once cogently argued, extensively researched, and beautifully written. Gorra, a professor of English language and literature ant Smith College, has done something miraculous here, producing a deeply scholarly volume that is also immensely readable. I am in awe of this achievement! Over the years, I’ve read the occasional short story by Henry James. (In particular, my review of Dark Water sent me to an early tale called “The Madonna of the Future.”) And I’ve revisited The Turn of the Screw several times; I have been haunted by that disturbing tale for most of my adult life. But I was afraid to tackle one of the full length works, fearing that I simply would not be up to the task. From this graceful, seemingly innocuous beginning, characters crowd onto the canvas, fateful decisions are made, and above all, we meet Isabel Archer, the young orphan from Albany, New York. Oh the twists and turns her story will take…. It seems to me that much of the power of Portrait of a Lady turns largely on the question of fate. To what degree can we control it? It is indeed the age-old desire to dominate one’s own destiny that is the primay driving force of the novel. At one point, Isabel asks a question of her aunt, Mrs. Touchett. This rather cold and remote person has spirited Isabel off to England as part of the process of “taking her up.” (People are always ‘taking up’ other people in the fiction of Henry James. I think this is partly, due to the fact that so few of these individuals actually have to earn a living; they are therefore in need of distraction and amusement. No end of mischief results from this practice.) At one point, as she is settling in, albeit tentatively and temporarily, to her new life in England, Isabel questions her aunt as to just what were “the things one shouldn’t do.” Her aunt immediately asks if Isabel desires this knowledge so that she may do those very things. On the contrary, Isabel responds coolly; she only desires the right to choose for herself. The world is all before her so to speak, and she wants to be solely responsible for her decisions as she moves forward into that world. I’m not sure how to write about these two books. For one thing, they are both so festooned with post-it flags – really, I do hope I have stock in 3M! At any rate, I’m just going to start where it feels right to start – oddly enough, at a crisis point in Isabel’s life. Also, I should stipulate that I’m going to assume that you, Dear Reader, are sufficiently familiar with The Portrait of a Lady so that I don’t have to worry over much about so-called ‘spoilers.’ If not, I’ll give fair warning, starting with what now follows. …her short interview with Osmond half an hour ago was a striking example of his faculty for making everything wither that he touched, spoiling everything for her that he looked at.It was very well to undertake to give him a proof of loyalty; real fact was that the knowledge of his expecting a thing raised a presumption against it. It was as it he had the evil eye; as if his presence were a blight and his favour a misfortune. Was the fault in himself, or only in the deep mistrust she had conceived for him? This mistrust was not the clearest result of their short married life; a gulf had opened between them over which they looked at each other with eyes that were on either side a declaration of the deception suffered. It was a strange opposition, of the like of which she had never dreamed – an opposition in which the vital principle of the one was a thing of contempt to the other. It was not her fault – she had practised no deception; she had only admired and believed. She had taken all the first steps in the purest confidence, and then she had suddenly found the infinite vista of a multiplied life to be a dark, narrow alley with a dead wall at the end. An accident involving multiple vehicles results in the death of a university student, and Detective Superintendent Roy Grace of the Sussex constabulary catches the case. Carly Chase, a busy single mother on her way to work, had swerved to avoid hitting the youth, who was then struck by another vehicle. Carly’s quick thinking maneuver had succeeded, if only momentarily. But in the process, her car was badly damaged. She emerges from the wreck, rattled but with only minor injuries. At first, Carly’s role in the accident seems like little more than a mighty nuisance. But there is more to this complicated roadway crack-up than at first meets the eye, and Carly is soon to discover the true meaning of terror…. The plot of Dead Man’s Grip becomes increasingly convoluted, but it is marked by a clarity of purpose and an almost unrelenting suspense. Roy Grace is an enormously appealing protagonist. He’s a dauntless, resourceful investigator with an intriguing and complex personal life. His wife having unaccountably disappeared some years ago, Roy is now deeply in love with Cleo Morey, who is soon to give birth to their child. Surprises, largely of the unpleasant variety, await Roy Grace in both the domestic and professional spheres of his (overcrowded) life. He tipped the can of gun oil on to a piece of rag and wiped along the barrel. He liked the smell of the oil the way some folk, he imagined, liked the smell of a fine wine. He’d seen wine experts on television talk about hints of cedar, cigar, pepper and cinnamon, or about gooseberries, and citrus. This oil had a metallic tang to it, a hint of linseed, copper and rotten apples. It was every bit as fine to him as the finest wine. This is easily one of the most evocative – in an olfactory sense – prose passages I’ve come across in some time. In addition to Roy Grace, this novel is crowded with fascinating characters. I’m thinking especially of Tooth, an improbably named hit man with a number of unique attributes. 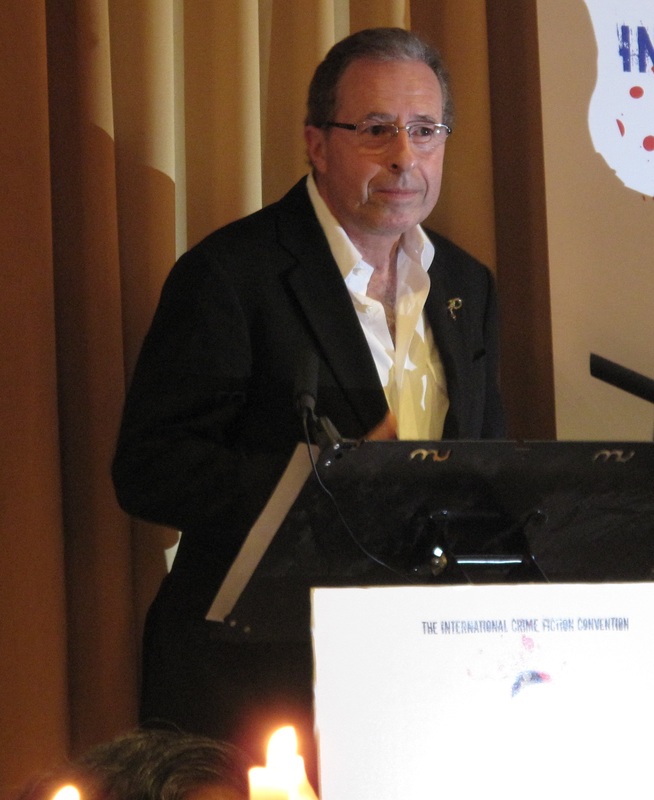 I read Dead Simple, the first novel in the Roy Grace series, last year, because Peter James was scheduled to take part in Crimefest 2011, which we were lucky enough to attend. Dead Simple was very good, but Dead Man’s Grip was even better. 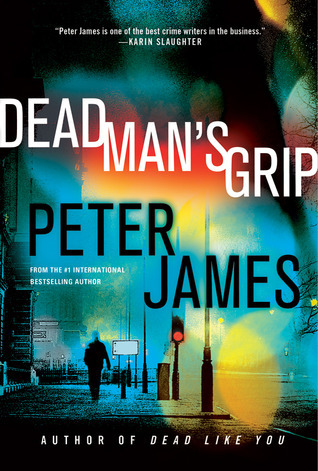 It seems to me that Peter James has crafted a rare blend of traditional police procedural and fast-paced thriller. The reader is gifted with the best of both crime fiction genres: a story that grabs you and doesn’t let go, and fully developed characters that spring to life and keep you caring about the outcome. Andy Barber is an assistant district attorney in Newton, Massachusetts. He has a string of prosecutorial triumphs to his credit and as a result, thinks rather well of himself. But in a classic ‘pride goeth’ scenario, Barber finds his world suddenly under assault when his son Jacob is accused of a heinous crime. A jury verdict is just a guess – a well-intentioned guess, generally, but you simply cannot tell fact from fiction by taking a vote. And yet, despite all that, I do believe in the power of the ritual. I believe in the religious symbolism, the black robes, the marble-columned courthouses like Greek temples. When we hold a trial, we are saying a mass. We are praying together to do what is right and to be protected from danger, and that is worth doing whether or not our prayers are actually heard. How these words must have curdled for him, as his family’s excruciating ordeal at the hands of that vaunted justice system dragged on, for weeks and then months, of tedium alternating with dread. 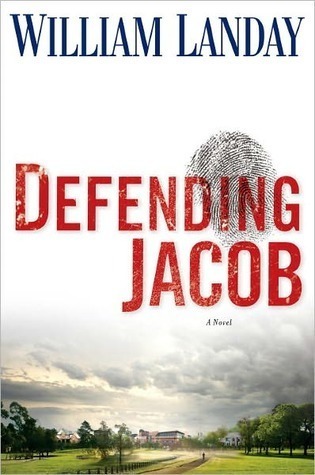 Several readers have remarked to me that Defending Jacob put them in mind of Rosellen Brown’s 1992 novel Before and After. That provocative work made for an excellent book discussion; I believe that Landay’s novel will do likewise. I was so enamored of Carofiglio’s Temporary Perfections, and especially of the author’s protagonist, Avvocato Guerrieri, that I decided to go back and read an earlier entry in the series. 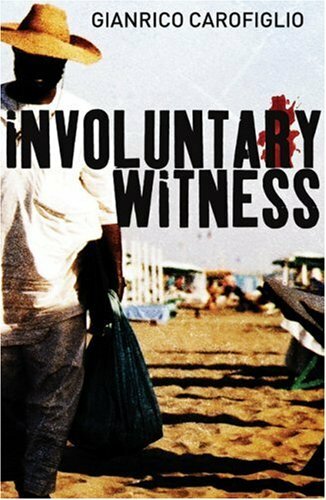 Involuntary Witness is the first Guido Guerrieri novel, and it’s the story of a Senegalese peddler in the south of Italy who is accused of the murder of a nine-year-old boy. I didn’t know what to say. The things that came to my lips were all banalities, and I didn’t want to utter banalities. Whole worlds pass close by us and we don’t notice. Maxine Clarke, whose insightful reviews can be read on her blog Petrona and also at Euro Crime, has generous praise for the novels of Gianrico Caroiglio. She particularly recommends The Past Is a Foreign Country, a non-series work by this distinguished Italian writer and jurist. Saint Who? It’s the logical first question – at least, for those of us who are not knowledgeable in this area. 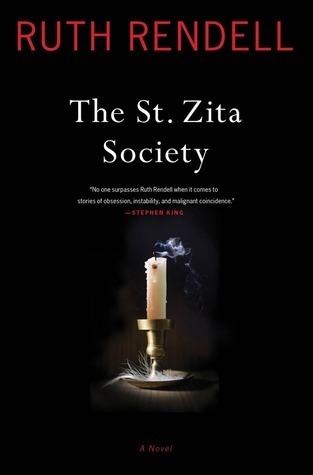 St. Zita is the patron saint of servants, and in this novel, the Society formed in her name is comprised of those who, in various capacities, serve the residents of Hexam Place in London. Both the residents and the help in Hexam Place are a decidedly diverse mix of personalities. Among them are Simon Jefferson, an earnestly liberal physician, his driver Jimmy, and Dex the gardener; Roland Albert and Damian, a snobbish and autocratic gay couple; Thea, who lives in the same building as Roland and Damian and, while not actually herself hired help, acts as such and is treated as such by them; Princess Susan Hapsburg, who is neither a princess nor a Hapsburg (Oh, this is such vintage Rendell!) and June Caldwell, her servant morphed into companion, and a high-handed one at that. At the center of this whirl of activity is the Still family at Number Seven Hexam Place. : Lucy and Preston and their three children. Lucy. distracted and addle-brained, seems largely absent from her own life – certainly from her maternal responsibilities, which she gladly abdicates to Rabia the nanny and Montserrat the au pair. Rabia, a devout Muslim who has lost both her husband and her children, is a particularly compelling character. Her devotion to baby Thomas is so intense as to be almost painful. Montserrat, on the other hand, has very little to do, with the crucial exception of facilitating the secret ingress and egress of Lucy’s lover into, and out of, Number Seven Hexam Place. These assignations occur while husband Preston is away at work – or supposedly away at work. If this sounds like a potentially explosive situation – well, it is. But the explosion, when it happens, takes an unexpected form – and it’s just a preview of further shocking events looming just beyond the visible horizon. As often happens in Rendell’s fiction, characters acting on insufficient information – including one with a thoroughly warped mindset – are making decisions that lead, inevitably, to disaster. The St. Zita Society is not a full-fledged masterpiece on the order of, say, Judgement in Stone or A Fatal Inversion (written as Barbara Vine). Nevertheless, its near flawless execution made it a joy to read. 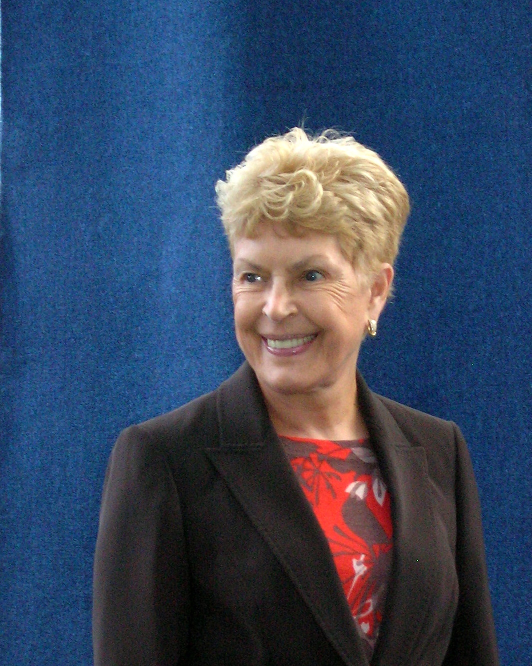 As any regular visitor to this site will attest, it is nearly impossible for me to evaluate objectively a work by Ruth Rendell. Still, I do recommend this novel. It has the usual Rendell hallmarks of elegant plot construction, penetrating psychological insight, and sly wit. Earlier this month, Sue Grafton’s home in Louisville, Kentucky, was broken into. The author of the famed and greatly loved alphabet mysteries featuring private investigator Kinsey Millhone reported the theft of some cutlery and serving pieces. Click here for the story, with video, provided by a local news outlet. The folks at Fox 19 could not resist using the only logical title for this particular bit of news…. The finalists for this year’s National Book Award will be announced Wednesday morning October 10 on MSNBC’s “Morning Joe.” The show airs between six and nine ET. …a venture whose strategy is to combine all three of the e-book world’s major market functions — retailing, curation and social-networking — in an ambitious bid to become a one-stop destination for book lovers on the Web. Consumers will be guided by Zola’s trademarked “curation engine” that uses rating and purchase-based algorithms along with expert input from book critics, bloggers, authors, publishers and booksellers, whom they can “follow” a la Twitter. And here I was, thinking that all it took was one passionate book lover urging a precious tome on another of the same persuasion. These thoughts caused my recollection to travel back, I don’t know how many years, to the time when a patron asked me to recommend a contemporary love story. 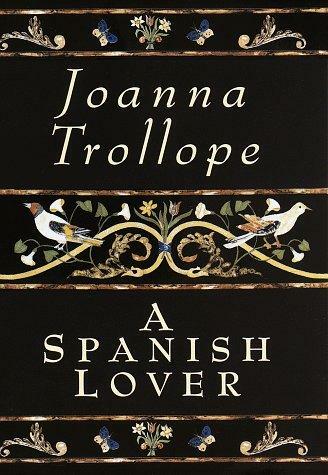 I gave her A Spanish Lover by Joanna Trollope. Ah well…one must move with the times, I suppose…. Zola Books is currently in Beta testing mode and is planning a “soft launch” on Wednesday. Despite what I just wrote, I think the site has real possibilities and I wish them luck. They’ve asked for feedback and I plan to give them some (after which they may wish that they had NOT asked). My main hope is that they can streamline the site and make it easier to use than Goodreads, which has so much delightful content but which I find very difficult to navigate. One last item: the winner of the 2012 Man Booker Prize will be announced on October 16. Last month, an article entitled “Prior Misconduct” appeared in Library Journal. In it, Sarah Statz Cords surveys the field of historical true crime, limiting the titles under discussion to narratives of events occurring prior to the Second World War. 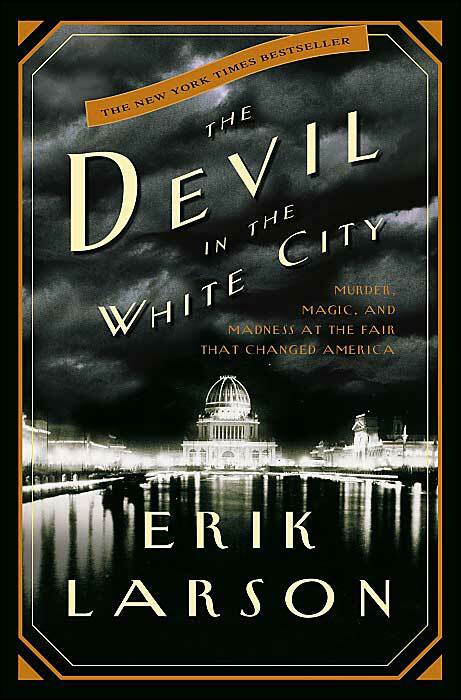 In recent years, titles such as Erik Larson’s The Devil in the White City and Kate Summerscale’s The Suspicions of Mr. Whicher have become best sellers, but why do readers enjoy them so? Is it the emphasis on various historical eras? That the crimes described are more safely (or so we like to think) removed from our own time? Or is it simply that compelling stories, well told, will always command our interest, even if they include violence, theft, kidnapping, assassination, and murder? All of the above, Ms. Cords; all of the above, though that part about the crime being at a somewhat safe remove is rather less compelling than the other two suggested rationales, in my view. 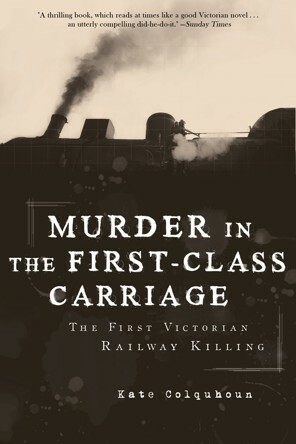 In this space, I’ve reviewed five of the above: Murder in the First-Class Carriage, The Suspicions of Mr. Whicher, Destiny of the Republic, The Poisoner’s Handbook, and Midnight in Peking. 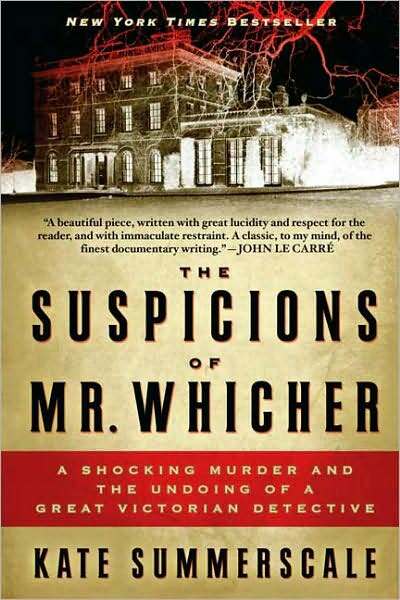 With its compelling cast of characters, rich literary allusions, and the atrocious murder at the dead center of the action – not to mention its keenly evocative portrait of mid-nineteenth century England – The Suspicions of Mr. Whicher makes for very compelling reading. 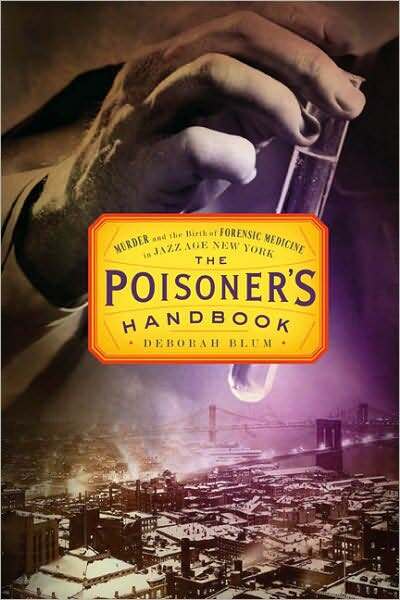 It also proved a great reading group selection, as did The Poisoner’s Handbook. Kate Summerscale followed The Suspicions of Mr. Whicher with Mrs Robinson’s Disgrace. Although this later title is not specifically about a crime, Summerscale does once again bring life in Victorian England into sharp focus in this tale of one woman’s disastrous and very public fall from respectable society. 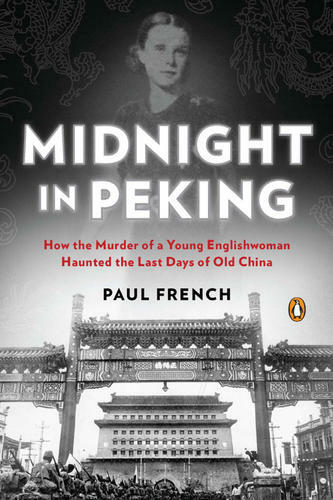 Midnight in Peking was riveting; I read it in three days. Destiny of the Republic is superb. 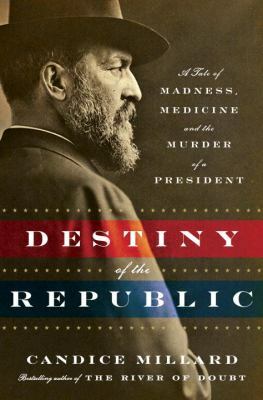 While I was reading it, I was not thinking of it as primarily a work of true crime but an absorbing depiction of an era in American history and even more than that, a portrait of a man – James A. Garfield – who was possessed of such intelligence, courage, and generosity of spirit that I longed to have known him. 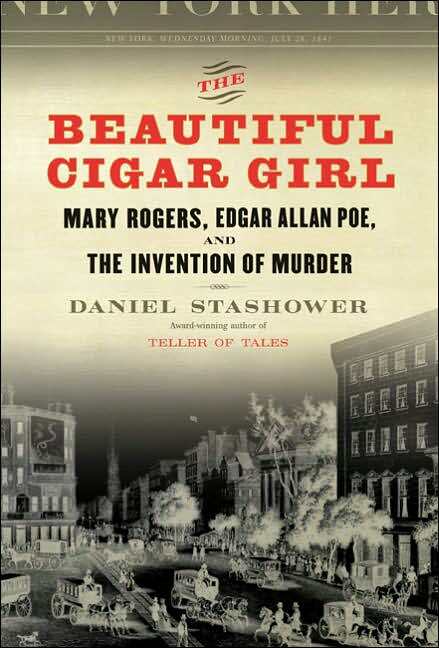 Among its many accolades, this book won the 2012 Edgar Award for Best Fact Crime. At any rate, the Library Journal article has some intriguing title recommendations. I for one will certainly be returning to it. I’ve spent some time combing through YouTube videos in search of some of the same, or at least similar, pieces played for us by Brian Ganz. I’ve been frustrated of late to find that a goodly number of the musical selections that I’ve embedded in blog posts have been subsequently deleted by the folks at YouTube. Nevertheless, I’m going to take a chance and place several of them here, in the hopes that they’ll remain available for viewing. This past March, I had the privilege of seeing Murray Perahia in concert in New York. Initially he seemed almost lost in the cavernous space of Lincoln Center’s Avery Fisher Hall. But his playing was so rich and dynamic, he soon overcame the disadvantage of the venue. The formality of that occasion stands in marked contrast to Sunday’s concert, in which Brian Ganz spoke to the audience at frequent intervals and even held a question and answer session after the intermission. In addition, the setting – Christ Episcopal Church in Columbia, Maryland, allowed for a gratifying closeness to this fine performer, who was at pains to remind us that he is ‘a home town boy’ from Columbia. Born in Rumania in 1917, Dinu Lipatti displayed exceptional musical gifts early in life. This was fortunate, because that life was destined to be tragically short. Hodgkin’s Disease claimed him in 1950; he was 33 years old. Dinu Lipatti performed in public for the last time in 1950. The occasion was a concert, in Besançon, in the Franche-Comté region of eastern France. That concert has attained legendary status in the annals of classical music. 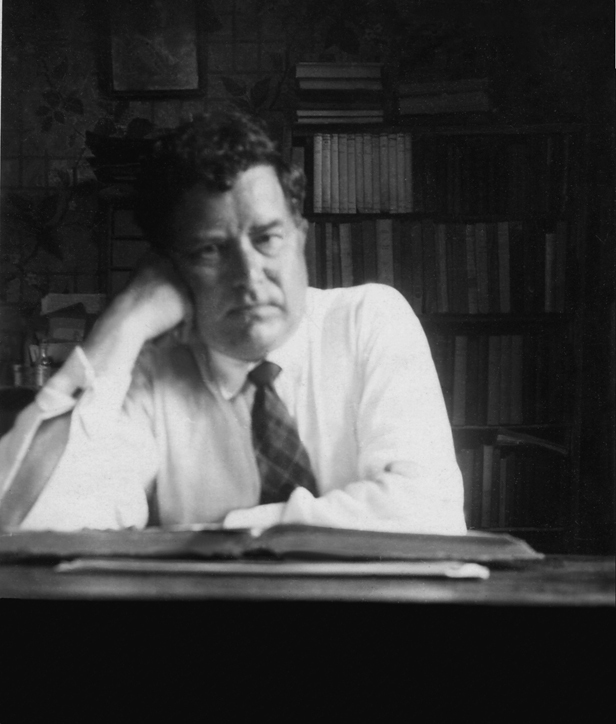 Click here to read Peter Gutmann’s beautiful piece on this brief but edifying life and its culmination at Besançon. Chopin himself did not outlive Lipatti by much. 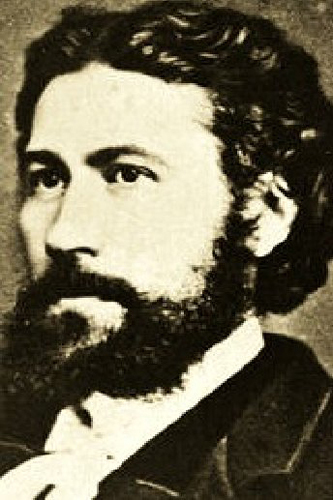 He suffered from a variety of ailments throughout his life and was at one time diagnosed with tuberculosis. He died in 1849 at age 39. 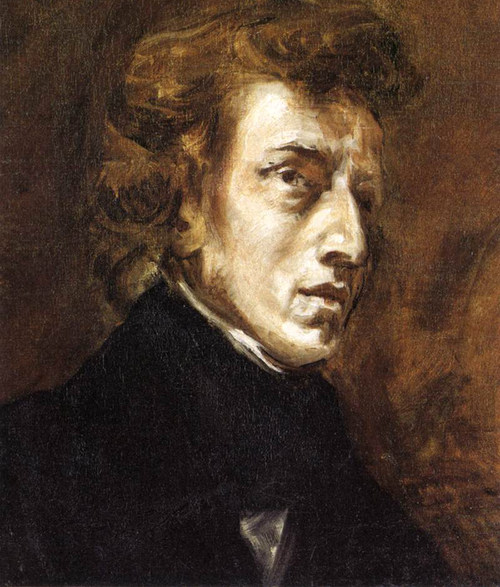 “Cannon-fire and blossom: the two sides of Chopin,” a thoughtful article by Tom Service, appeared in The Guardian in 2010. 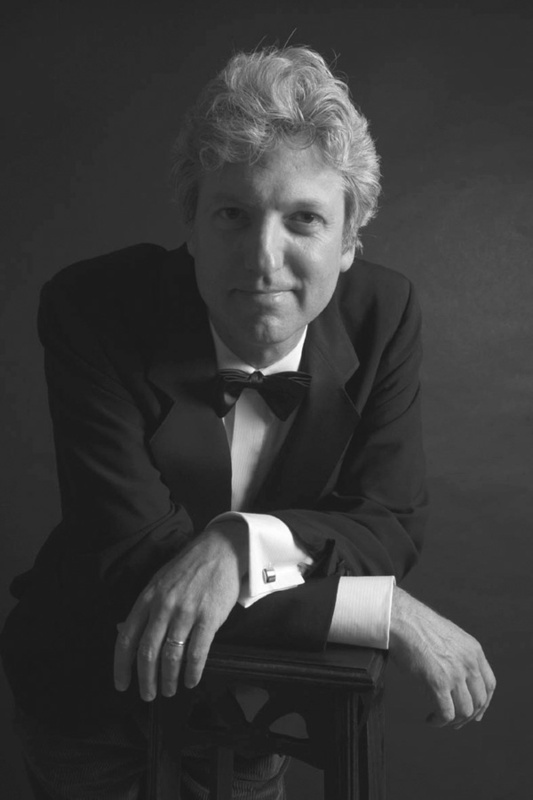 Concert pianist Yves Henry observes: “On the piano Chopin invented an orchestral universe that belonged only to him.” All the more reason to thank fine artists like Brian Ganz and his fellow pianists for providing us with a glimpse into that magical realm.